Lovingly updated BASS LAKE lakefront home with private boat dock!. Lakeshore Park offers amenities including boat launch, trailer parking and exclusive beach! This huge home would make a great year 'round home or rental with 5 bedrooms, 3 baths and an open floor plans. It sleeps 12 and is on a rental program. Feel like you are on vacation with lovely newer deck to enjoy outdoor entertaining. There is an easy flow to the design and vaulted ceilings that makes this home feel enormous! Enjoy the lake with yoLovingly updated BASS LAKE lakefront home with private boat dock!. Lakeshore Park offers amenities including boat launch, trailer parking and exclusive beach! This huge home would make a great year 'round home or rental with 5 bedrooms, 3 baths and an open floor plans. It sleeps 12 and is on a rental program. Feel like you are on vacation with lovely newer deck to enjoy outdoor entertaining. There is an easy flow to the design and vaulted ceilings that makes this home feel enormous! Enjoy the lake with your private boat dock! There is even a garage and a workshop! Most of the furnishings and golf cart are included. 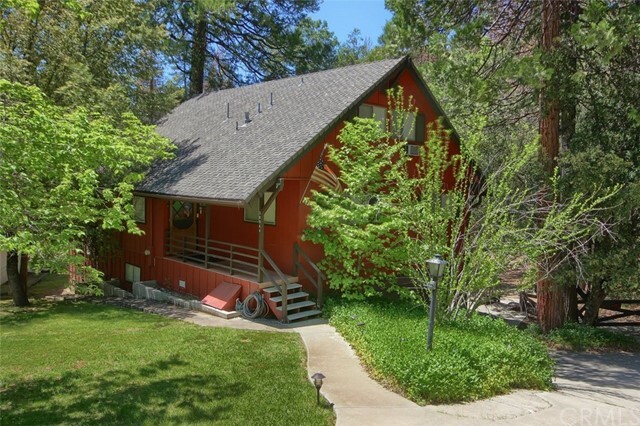 Home sits on .23+ acre of excellent Bass Lake land with a seasonal creek that backs to PG&E land. This is a great opportunity!! !